Casteel says cans will be permitted the rest of the summer. However, jello shots in five-ounce or smaller containers are not permitted. Nor are glass or styrofoam. Mesh bags are recommended for toting litter. 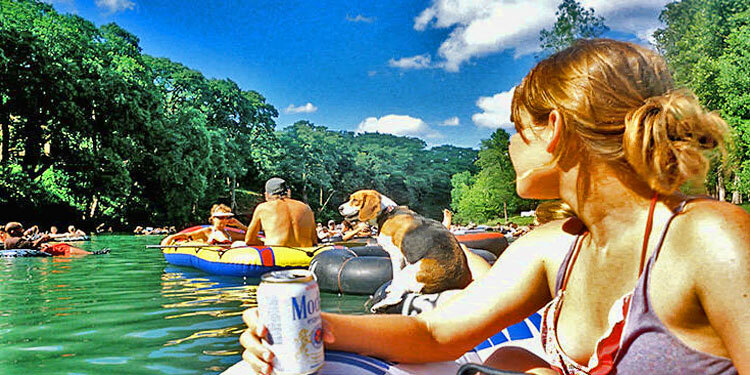 New Braunfels’ unpopular 2010 decision to ban disposable food and beverage containers was aimed at reducing littering on portions of the Comal and Guadalupe rivers. The law went into effect after the “River Wild” summer of 2011 and immediately reduced the amount of trash and citations. However, the city’s economy took a big hit. Despite the recent court ruling, the city has yet to set a date to reimplement the can ban, which river outfitters have vowed to fight all the way to Texas Supreme Court if necessary. City Attorney Val Acevedo says the official date of enforcement can be a moving target and cannot be set. At its June 13 meeting New Braunfels city council members asked City Manager Robert Camareno to develop a plan to implement rules related to the disposal container ordinance. The city currently is working with New Braunfels Convention and Visitors’ Bureau to prepare plans for public education when the can ban returns. City Council will reconvene July 13 to discuss implementation strategies and discuss timeframe, strategies and budgets.